We are delighted to have been nominated for five categories in the Craft Awards 2014! I am especially proud that my blog is even on the radar! Did you know that it's just celebrated it's first birthday! WOW!! Her at Clarity we strive for top quality, friendly service and design innovation - so to be nominated for five categories is not only very exciting, but also rewarding and flattering. 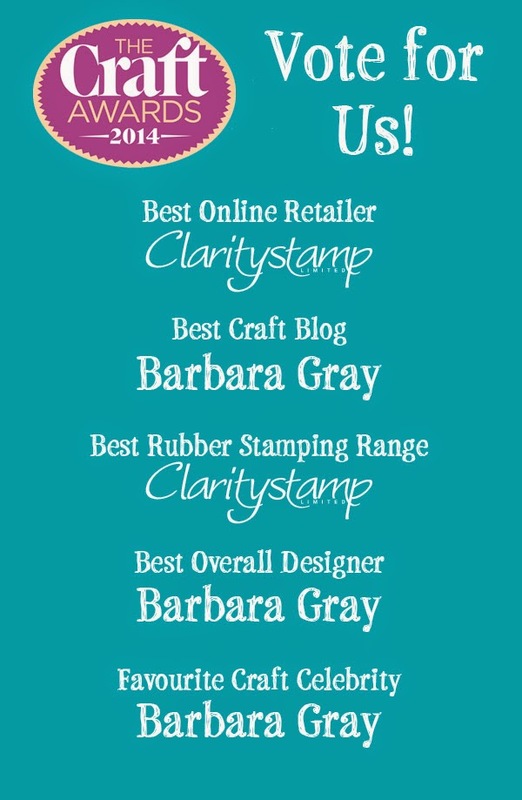 These awards are very significant, they're like the Oscars of the crafting world! Voting has commenced for this years awards and closes on 21st December. We do hope that you will take the time to vote for us! Already voted for ya Barb, good luck.